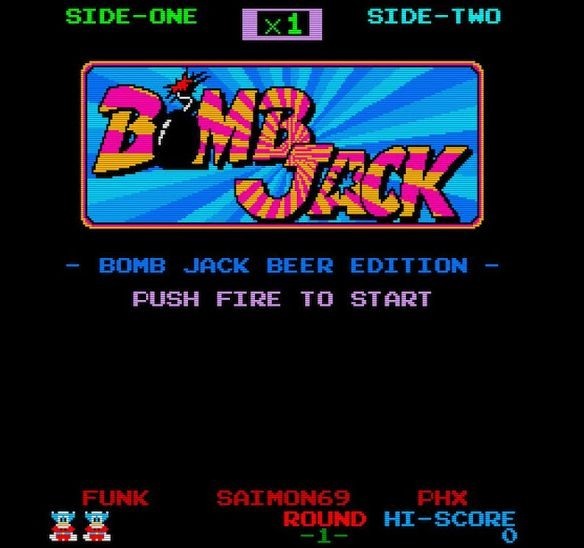 It's still raining outside and making most brits feel naff, but at least there's games to play and more so with the latest beta release of ' Bomb Jack Beer Edition ' by Graeme Cowie. Now before you get too excited and think this latest version is going to be a big hit, I'm afraid not. As according to the creator this version is mainly a Debug Build which will help him pin down why his enhanced work in progress game keeps crashing on Amiga AGA computers.